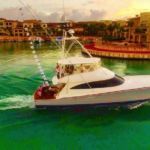 The Billfish Report is counting down its Top 10 Billfisheries of the Year and our #2 Billfishery is Punta Cana, Dominican Republic. Criteria for our Top 10 include fish numbers, variety of billfish species, average size of fish, length of season and number of boats fishing. With over 12,000 Billfish Reports submitted to us in 2016 from around the World, to even be considered for our Top 10 makes a fishery one of the best! 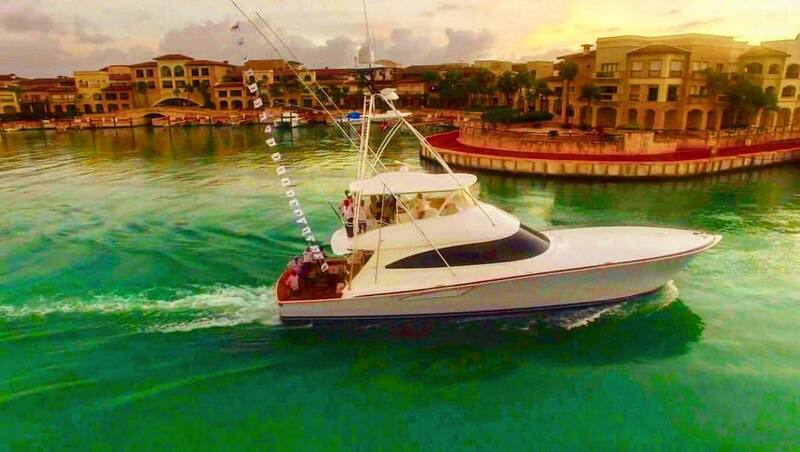 It was a year of records for boats fishing out of Cap Cana Marina. We saw boat records, marina records, country records and yes even Ocean records all fall in 2016. There may be not be such a thing as Blue Marlin guaranteed, but if you want to catch a Blue Marlin this may be the best place in the World to do it. For 2016 at least, this was the Blue Marlin Capital of the Atlantic. For you “purests” out there, let me get this out of the way. 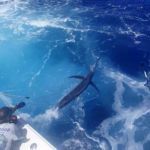 This fishery definitely has FADs and yes they catch a good many off of them, but the simple fact is, the Blue Marlin still need to present in order to catch them. 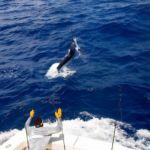 The debate will continue well beyond this write-up, but the ability to catch over ten (10) Blue Marlin in a day is truly special and everyone should experience it. Records are made to be broken, but I don’t think anyone expected this. In early November, Capt. Chuck Gregory on the Natural set the Cap Cana Marina record with fourteen (14) Blue Marlin released. An incredible day of fishing and certainly one to celebrated. Typically November is also late in the season, so it seemed this record would hold, at least for 2016. But as we always say, nobody told the Blue Marlin. We started to see double digit bite days in December, peaking the interest of the Billfishing community and apparently the boys on Blue Bird. Capt. Miguel Tirado may have not set out to beat the Marina record, but he was certainly trying to beat something. In early December, Team Blue Bird released sixteen (16) Blue Marlin to take the Marina record. The very next day, they beat their own record going 18-25 on Blue Marlin. The must have gotten bit by the Blue Marlin gods though and rather than taking a break from two incredible days of fishing, they went out again. On the third day, not only did they beat their own record, they also set a new Atlantic Record, going 23-35 on Blue Marlin. 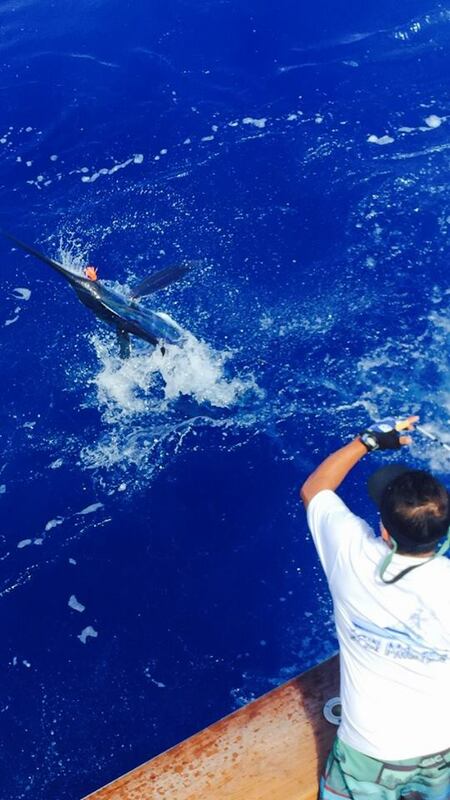 That means in three days of fishing, Team Blue Bird released an astounding fifty-seven (57) Blue Marlin. This is indeed a fishery for numbers. The fleet recorded eighty-six (86) reports of 5+ Marlin caught in a Day (#1 in the World) and fifteen (15) reports of 10+ Marlin caught in a Day (#1 in the World). This fishery accounted for 43% of all the 5+ Marlin reports and 38% of all the 10+ Marlin reports from our Top 10 fisheries. 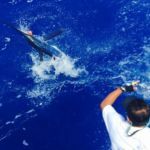 This fishery is not all about Blue Marlin, with a solid White Marlin fishery. The numbers oddly enough were not as staggering as the Blue Marlin, but we did see three boats with a season best eleven (11) White Marlin released (Victoria, Legal Drug, Emily). While not known as a fishery that produces Grand Slams, they managed fourteen (14) on the Season, making it the best place in the World for 2016. 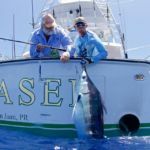 While this is a year round fishery, the boats concentrate their efforts here in the late Spring and Summer to start the White Marlin bite and then fish into the Fall for the Blue Marlin run. 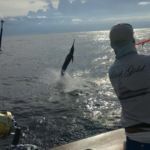 When the bite was on, the bite was clearly on, but we would see huge waves of fish and then the bite would fall off (welcome to Blue Marlin fishing).The one thing this fishery does not have is large fish. We did not get a report of a single Billfish over 500 lbs. making it the only fishery to enter the Top 10 without one. With that said, I am pretty sure nobody is complaining. 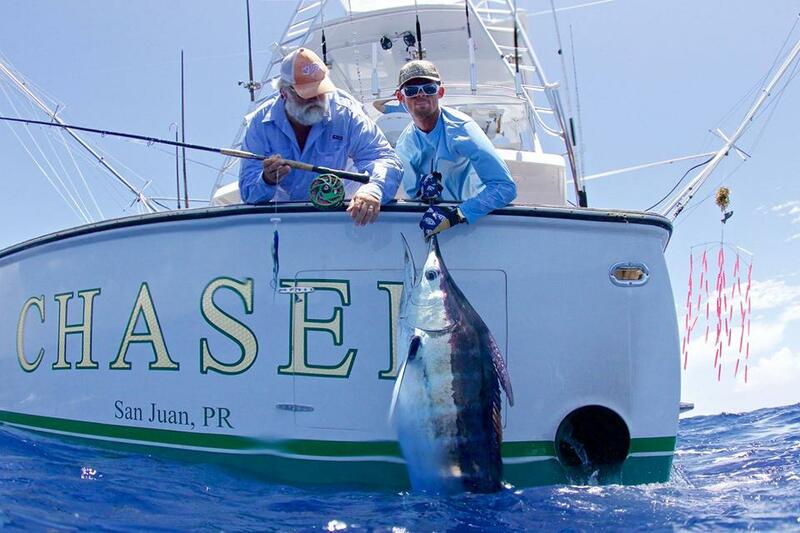 Congratulations to the Punta Cana, Dominican Republic our #2 Billfishery of the Year. 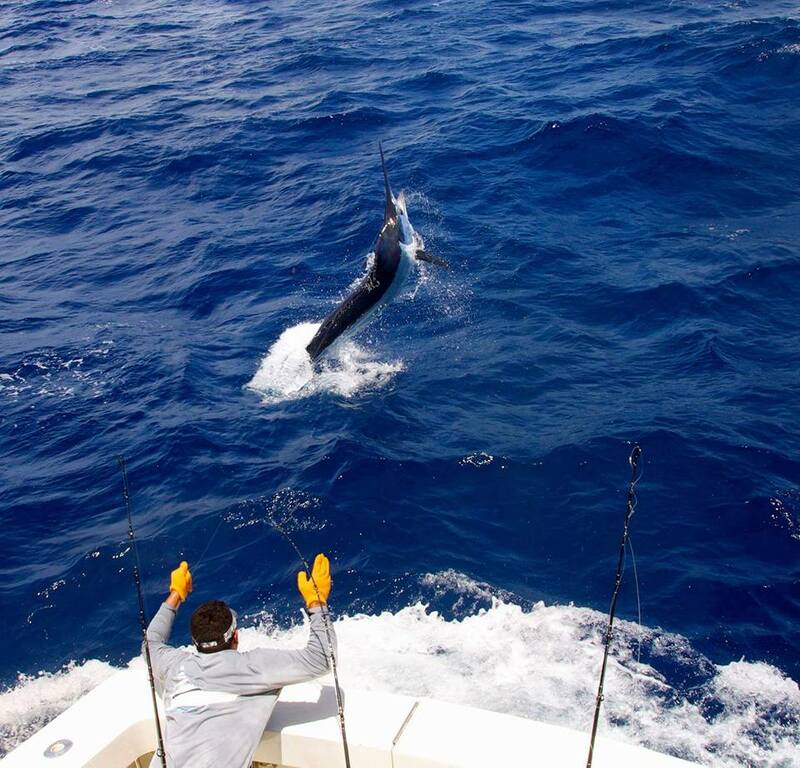 Black Gold released a Grand Slam with 5 Blue Marlin, a White Marlin and Sailfish. Black Gold went 14-18 on Blue Marlin. Capt. Chuck Gregory on Natural released a Super Grand Slam with 3 Blue Marlin, White Marlin, Spearfish and a Sailfish. Capt. Tim Richardson on Chaser went 6-7 on White Marlin and 1-1 on Blue Marlin (400). Committed released a Grand Slam with 4 Blue Marlin, a Sailfish and Spearfish. Dhara released a Grand Slam going 6-13 on Blue Marlin, White Marlin and Spearfish. Emily went 11-14 on White Marlin. Vitamin Sea released a Grand Slam going 5-7 on Blue Marlin, 1-1 on White Marlin and 1-1 on Spearfish. Hey Chama released a Grand Slam going 6-9 on Blue Marlin, 3-4 on Spearfish and 1-1 on White Marlin. Legal Drug went 26-32 on White Marlin over 2 1/2 Days. Blue Bird went 23-32 on Blue Marlin, setting an Atlantic Release Record. Vitamin Sea went 10-15 on Blue Marlin and 1-1 on White Marlin.